When Beth wakes up next to Jay, a man she can only vaguely remember meeting, it’s immediately a situation she wants to forget. But then she finds a strange diary in which he compares all the women he meets to ex-girlfriend Sammie, and soon she finds herself in a situation where all she wants is to escape. 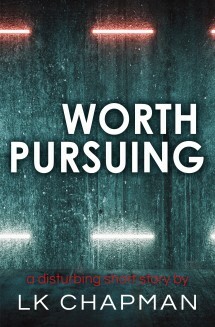 Worth Pursuing is a disturbing short story which can be read on its own or as a prequel to LK Chapman’s chilling full length psychological thriller Anything for Him.